We have had unbelievably hot weather the last few weeks. 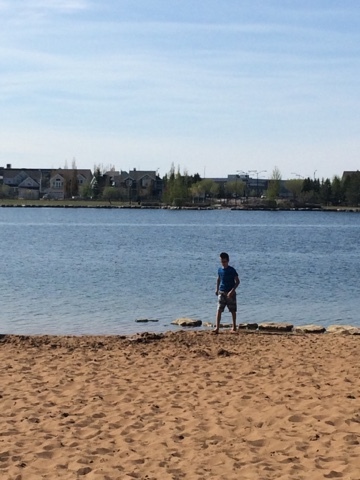 On May 2nd it was 30C and we went to the beach! It was so hot! 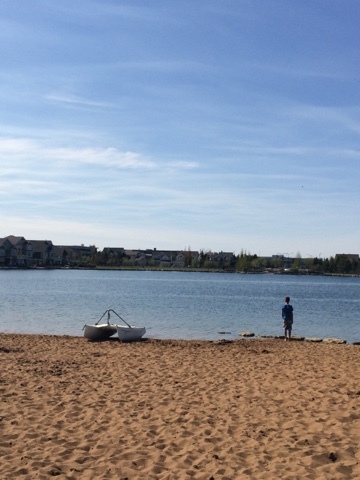 Jakob tested out the water, but it was a little too cold. There were kids swimming in it though! 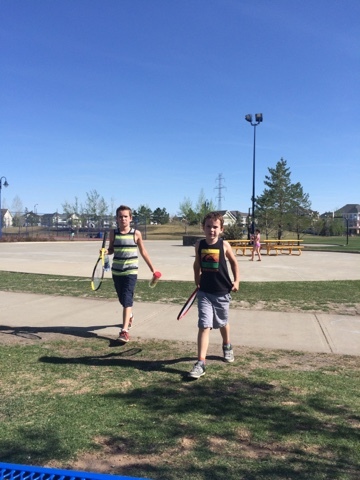 Levi and Zack played some tennis, too!